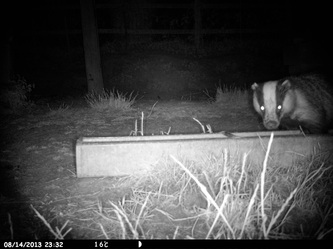 Badgers August 2013 - DEVON YURTS Glamping in Style! 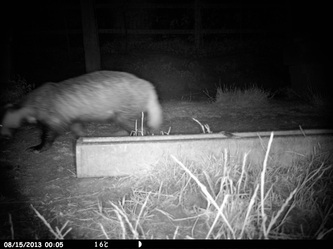 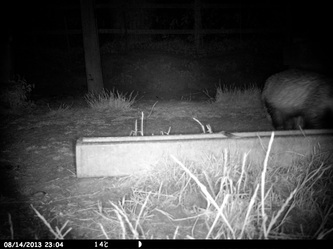 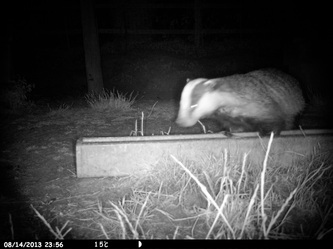 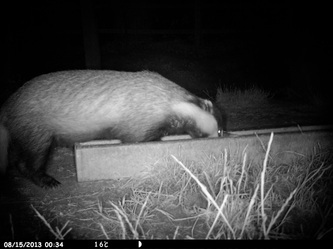 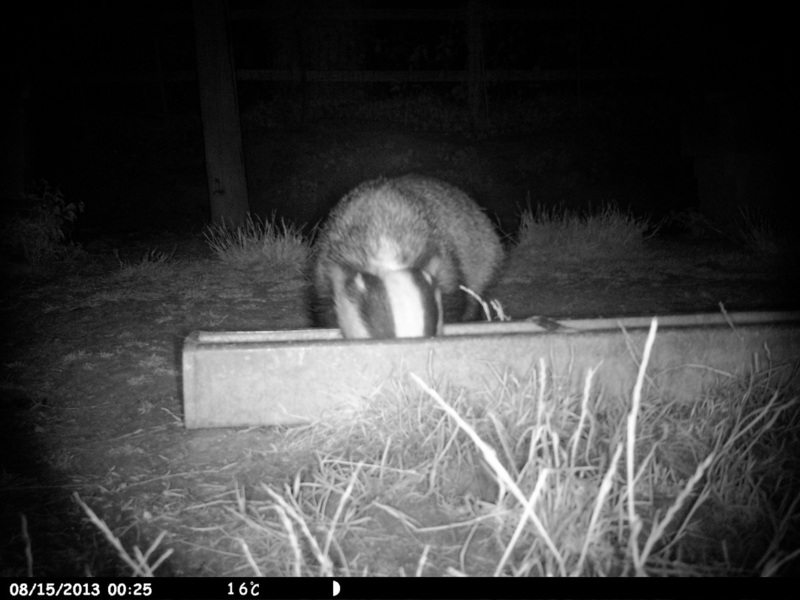 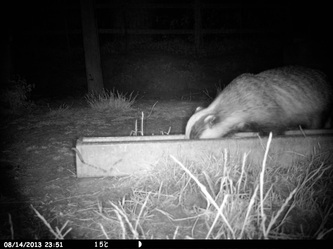 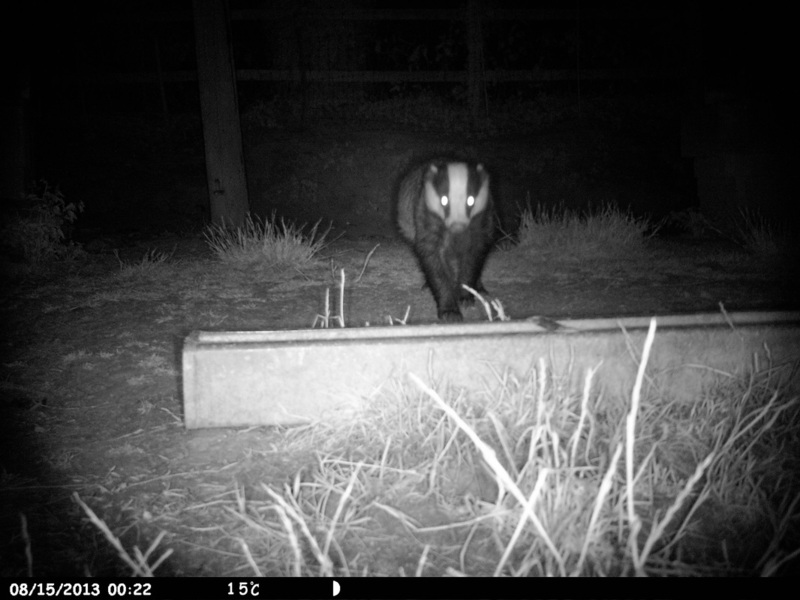 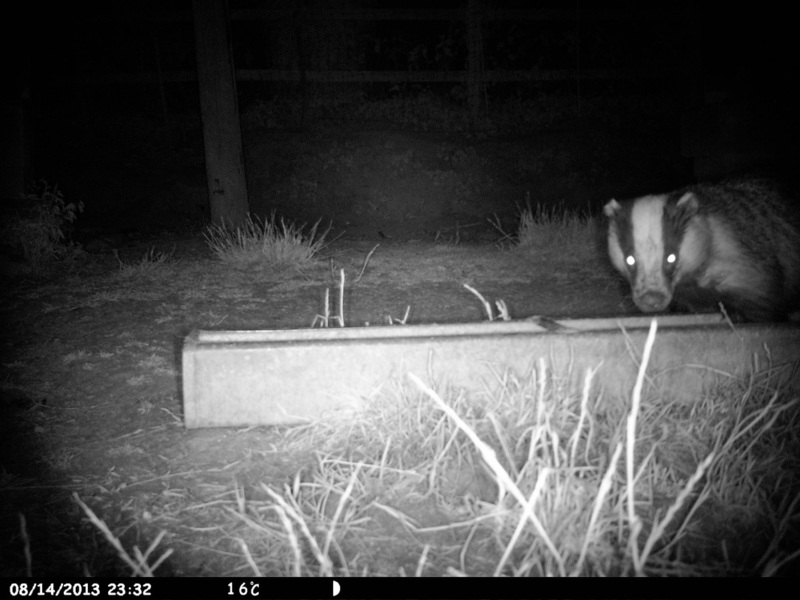 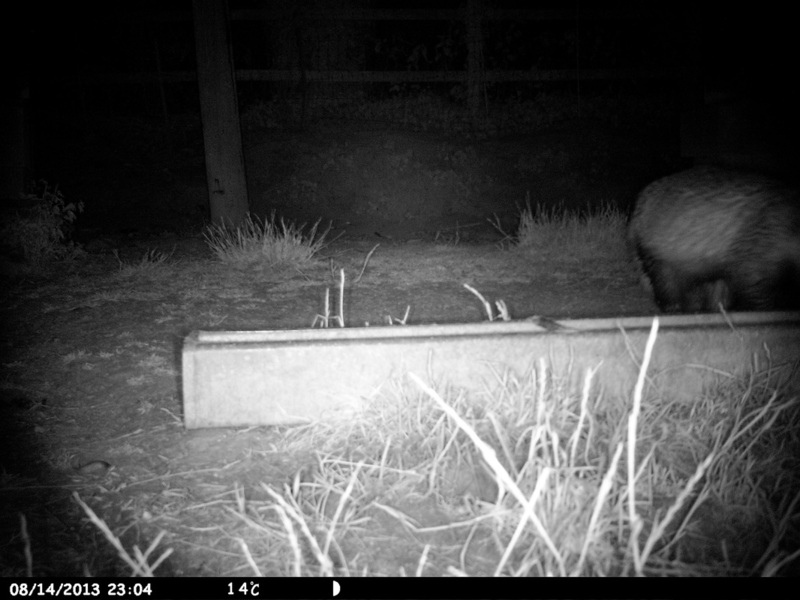 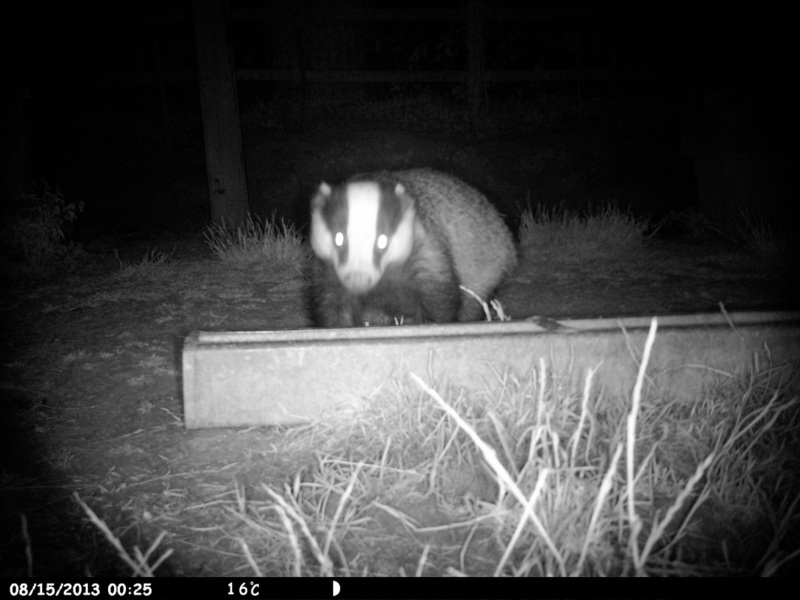 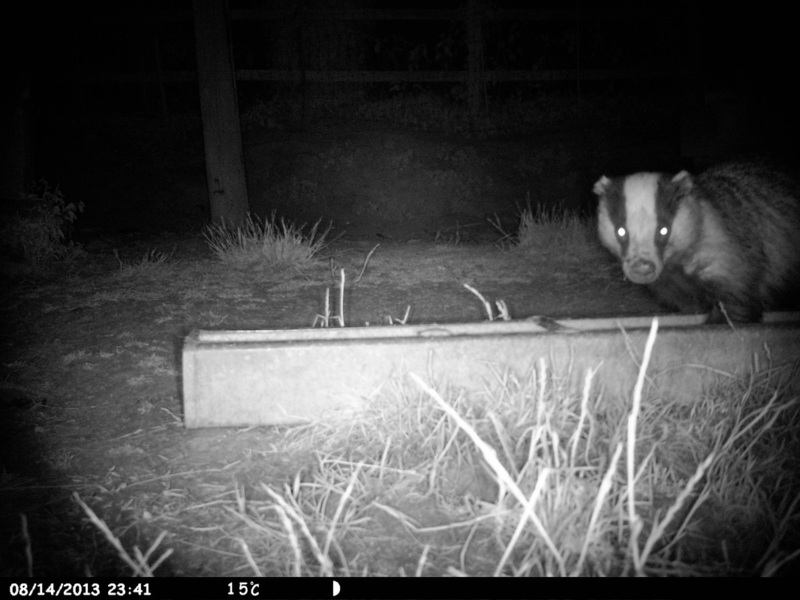 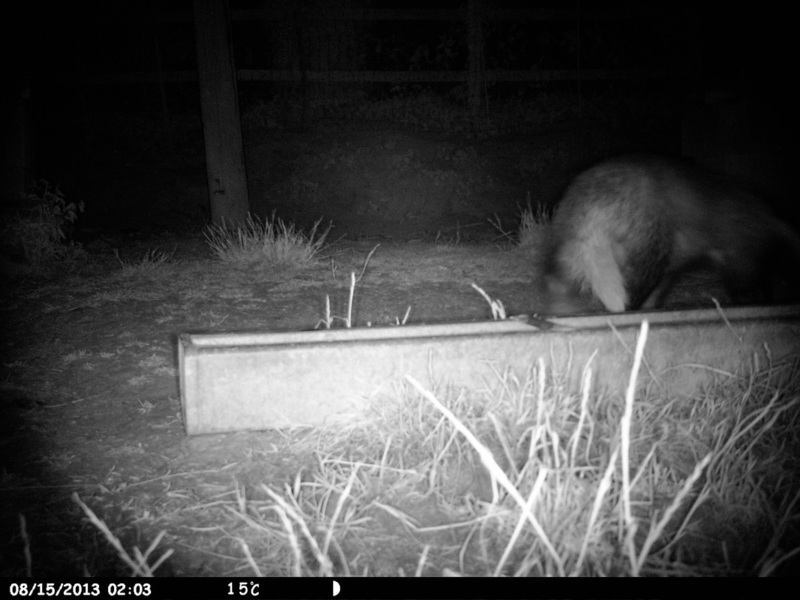 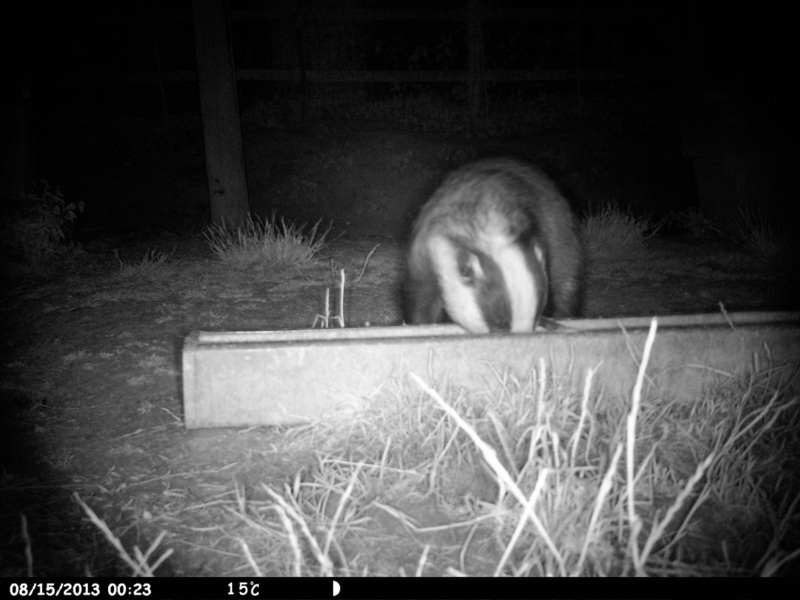 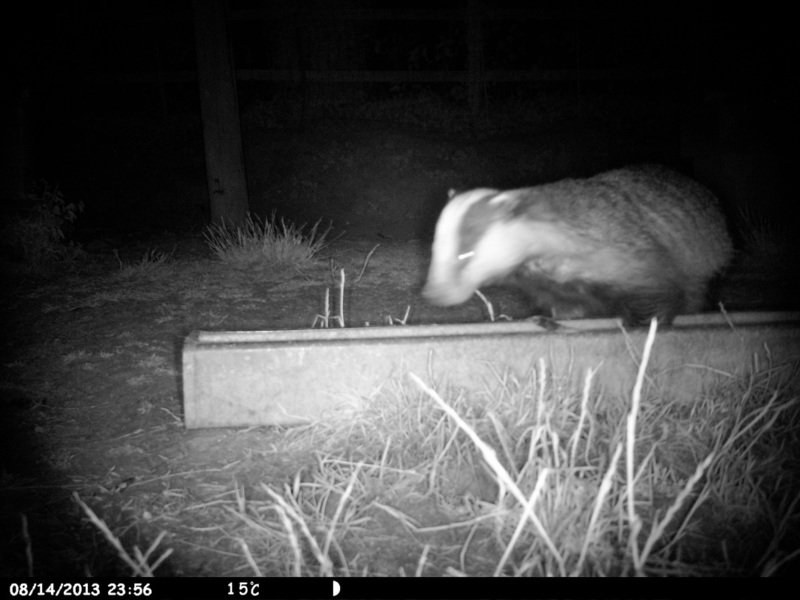 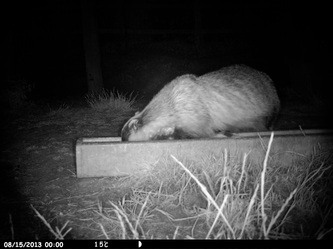 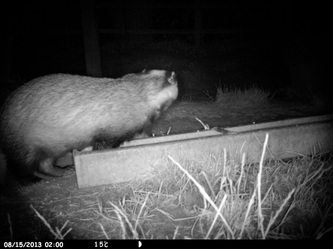 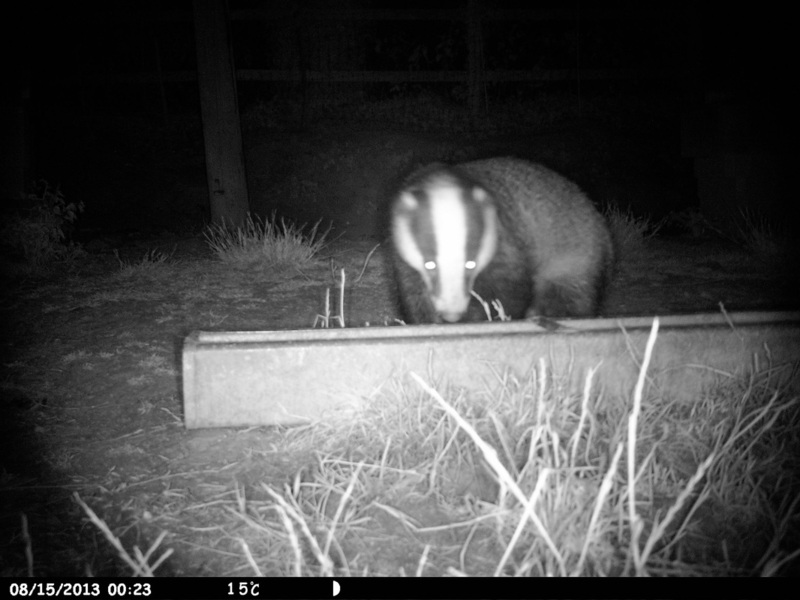 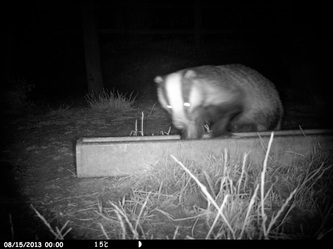 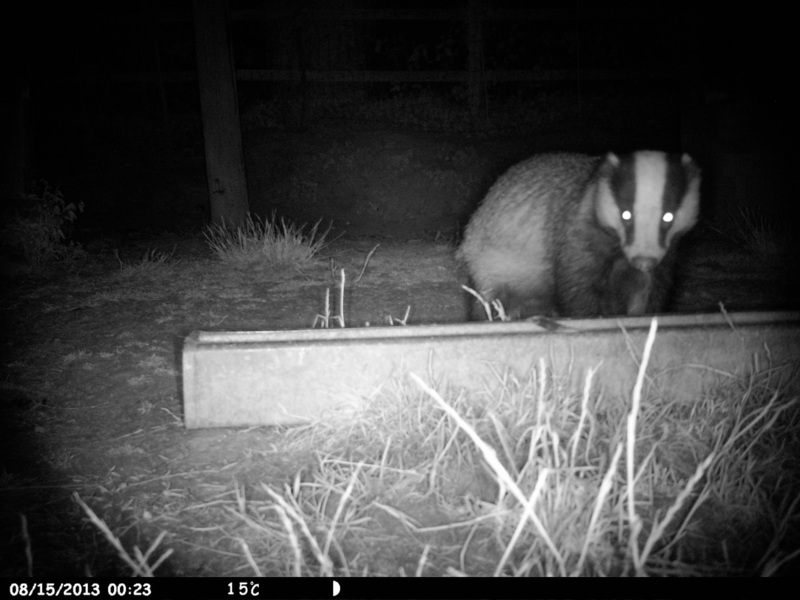 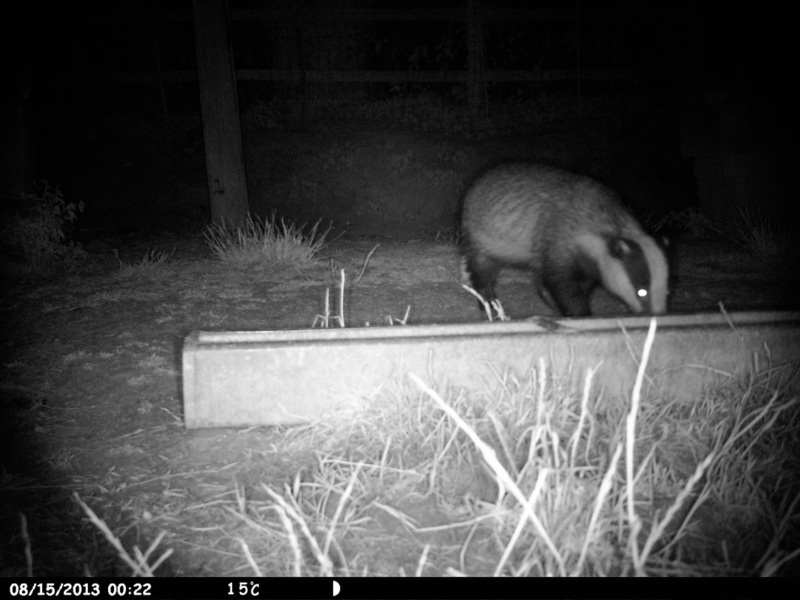 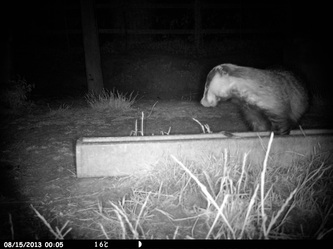 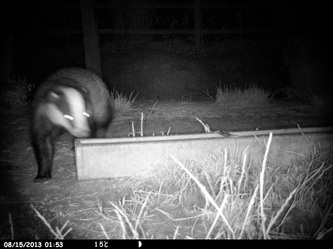 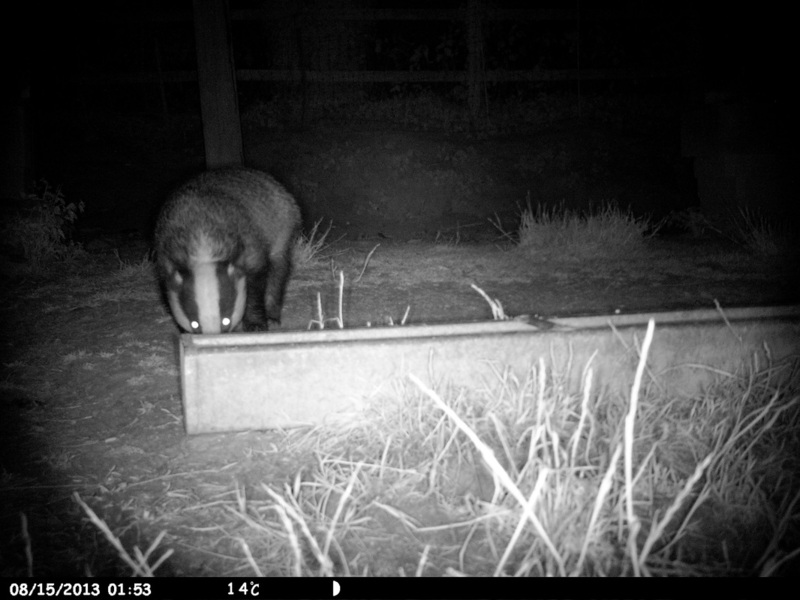 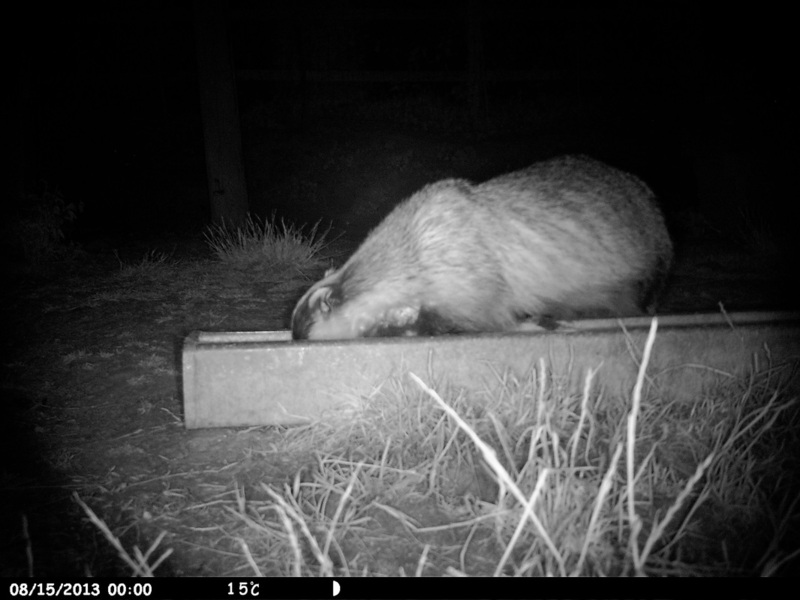 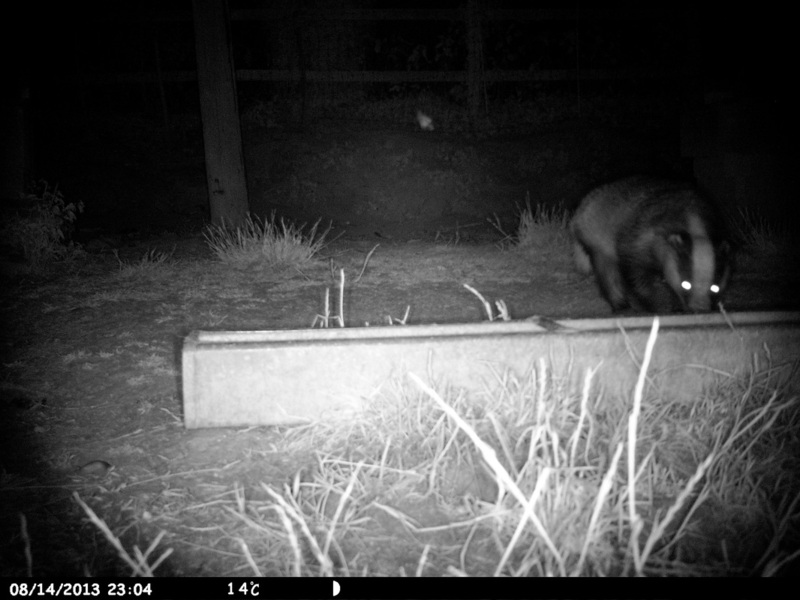 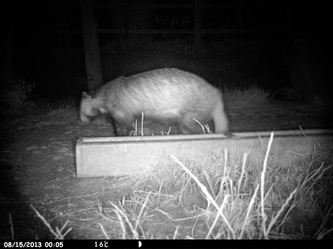 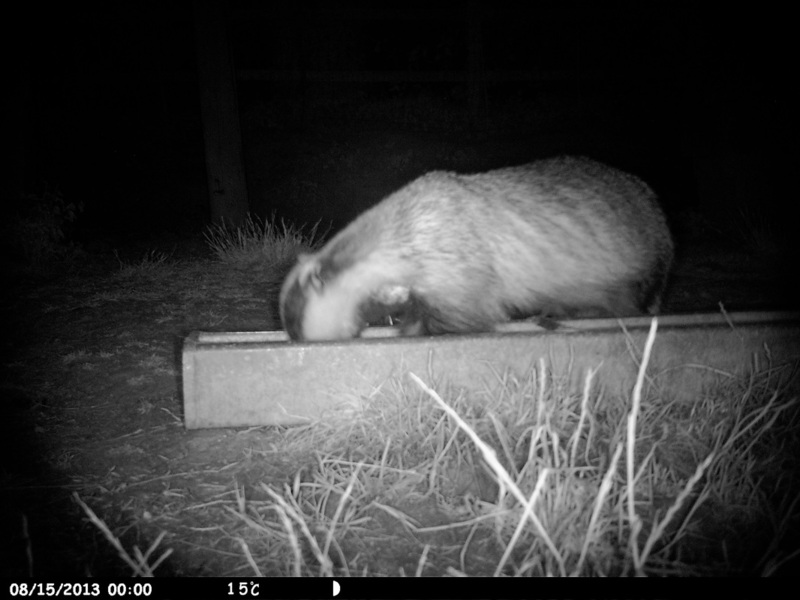 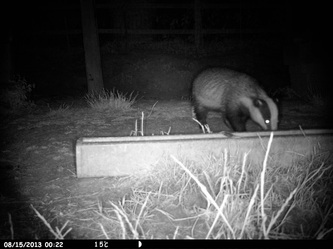 The Badgers are regular visitors to the hen paddock which is in the field adjacent to the yurt camp. 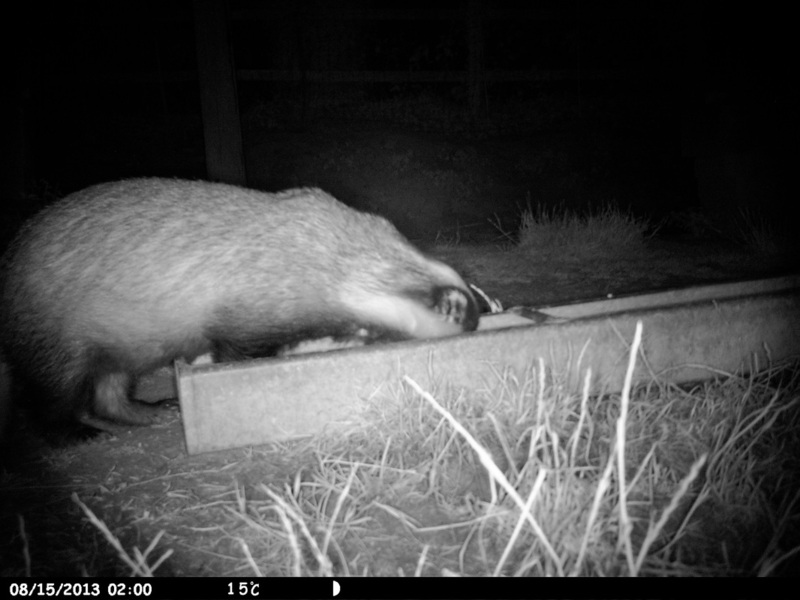 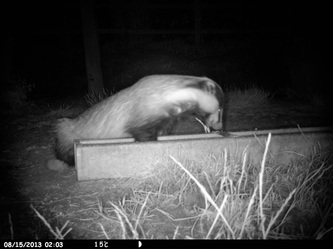 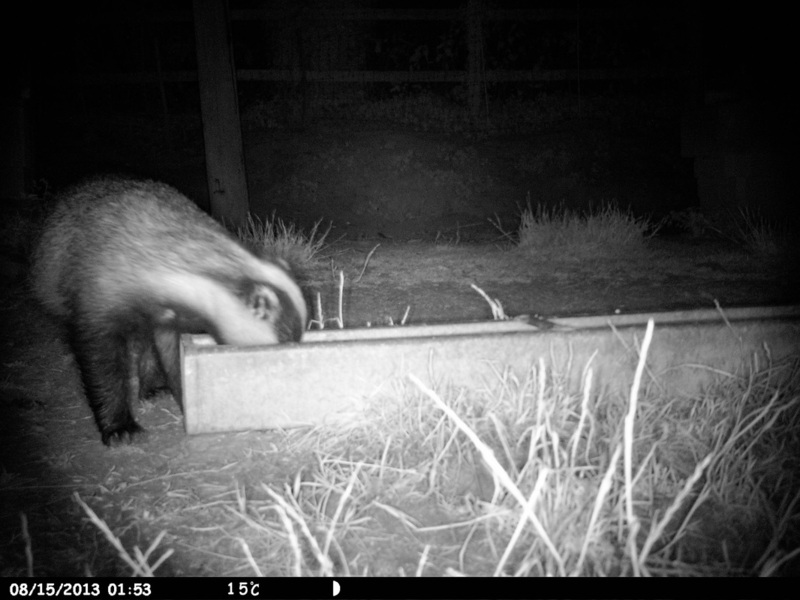 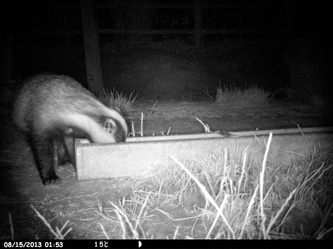 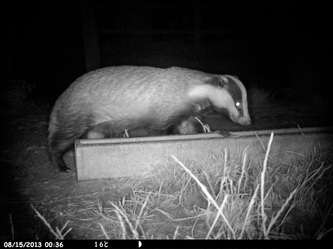 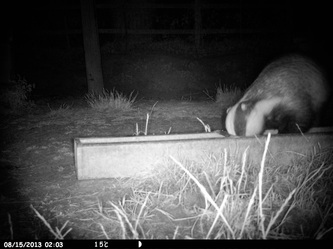 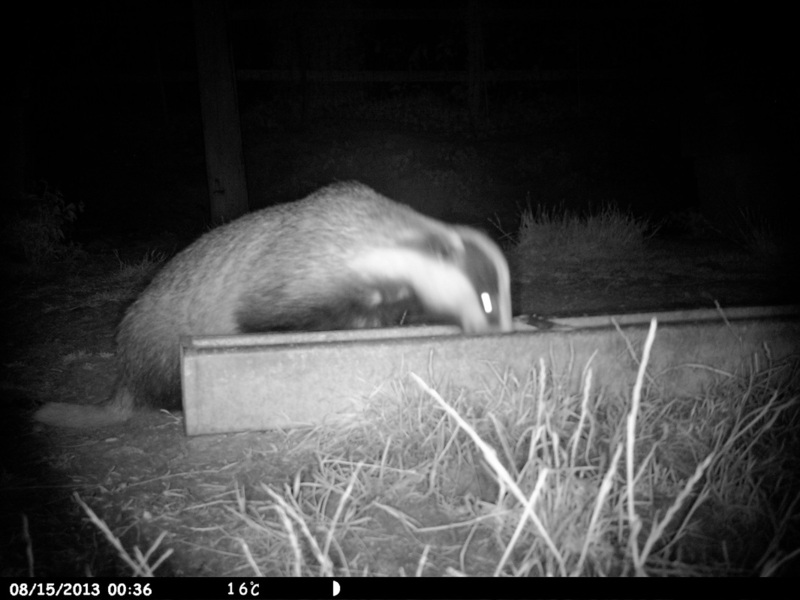 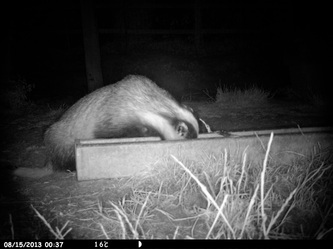 These pictures show the badgers finishing up the leftover chicken food over night. 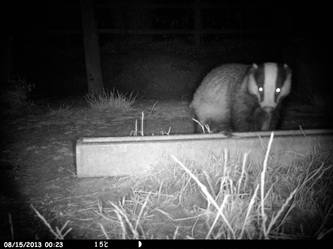 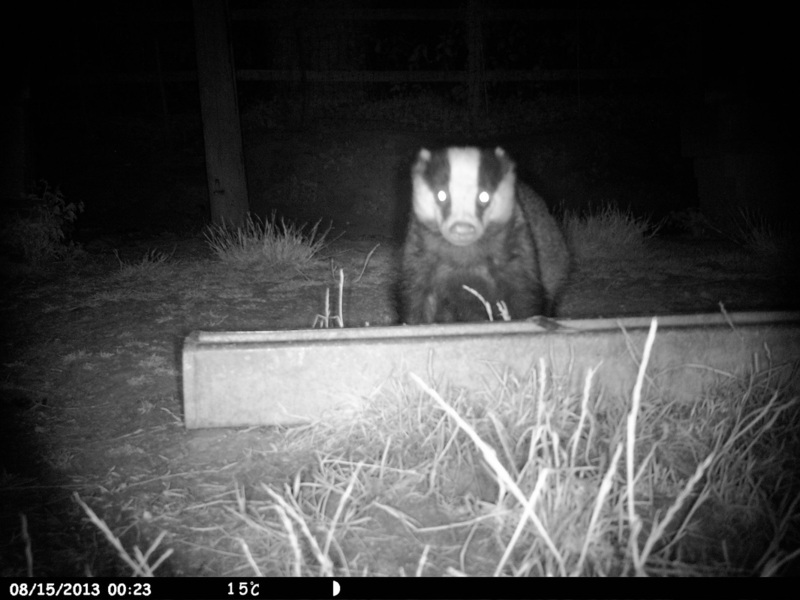 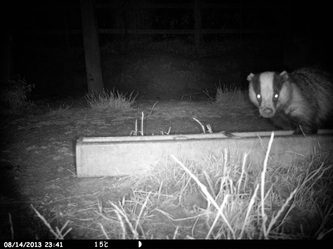 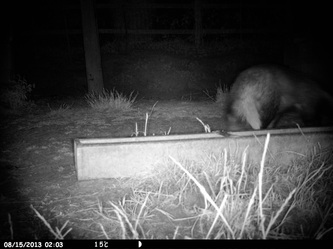 Some of the badgers are wary of the camera (which is a Pro Stalk 5000). Other badgers do not seem bothered by the camera which operates remotely and is motion sensitive.